Classic secret assassin agent action. Based on the books by Robert Ludlum (which unfortunately I have not read, yet!) we are taken through the difficult process of recovering the memories of a secret agent. This is high octane trilling action all the way though. Though the plot is fairly simple and you know what will happen in the end, it still takes a few interesting turns to get there. I like that. 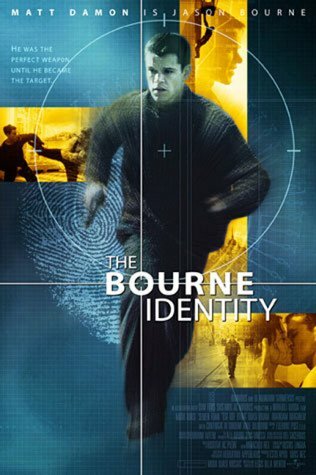 Matt Damon does a good job playing Bourne. Chris Cooper is brilliant, as always, playing the CIA operations manager. Clive Owen has a relatively small role, but I guess this is one of his first parts in a rather big movie. I am a sucker for these kind of movies. I just love the way Bourne is able to disarm and disable three security guys with his bare hands and very little effort and only in the blink of an eye. Great stunts and not overdone effects. If you like secret agent and/or assassin movies this is one for you.